The arts flourish where The Rapid goes. Recently, we hosted a Community Art Project and encouraged children and adults alike to share their art with us! We were so inspired by these pieces that we decided to use several to fully wrap one of our buses! Thank you to everyone who participated in our Community Art Project and a special congratulations to Aiden, Drew, Gabriella, Clare, Fisher, Nolan and Sienna for your beautiful artwork. Ringing in a full decade of awesome, ArtPrize will once again welcome more than 500,000 visitors to Grand Rapids. With crowds come challenges with parking. 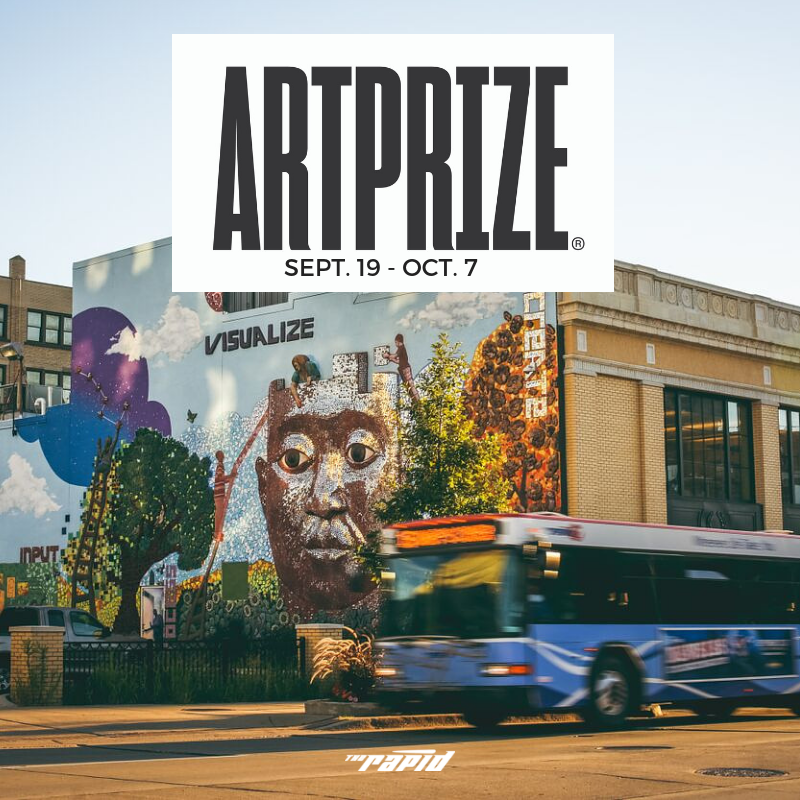 Leave your car at home (or in a Meijer Park & Ride lot) and opt for an ArtPrize Metro Pass. For $5 you can ride The Rapid. This includes unlimited rides on the Silver Line and 10 rides on fixed routes. This amazing deal will provide transportation for the entire event. On Sept. 19, head to any of the seven area Meijer Park & Ride locations to pick up your Metro Pass and park your car for free! There are so many fare-free bus options for you to make your way around all this event has to offer. The City of Grand Rapids’ FREE DASH service recently improved routing and expanded hours. You can hop on for free and venture to any of the event venues downtown. Check out the full route and schedule here. Aside from DASH, Silver Line also fare-free rides within the No Fare Zone in Downtown Grand Rapids. This means that you can travel around the core of ArtPrize at no cost on the Silver Line. Just make sure you are tapping your Metro Pass to the Wave reader if you’re planning on leaving the No Fare Zone. You can also travel the Michigan-Bridge Street corridor for free on the new and improved Route 19 running every weekday from 6 a.m. to 10 p.m. This time of year in Grand Rapids is breezy and beautiful. Enjoy the scenery and the cool autumn weather by riding around on your bike to get around ArtPrize. Not only does the City offer a growing network of bike lanes, there’s also an easy guide to help you navigate ArtPrize on two wheels safely here. If you get tired, you can always bus home and bring your bike along for the ride on one of The Rapid’s handy onboard bike racks. With the myStop and the Transit app, you can track The Rapid buses in real-time. While you’re riding, be sure to check out the ArtPrize Mobile App—available for free for iOS and Android devices—to find venues, events, and the full list of artists entries. Calling all college students! We know you’re just getting settled into a new school year but this is your time to enjoy everything Downtown Grand Rapids has to offer. 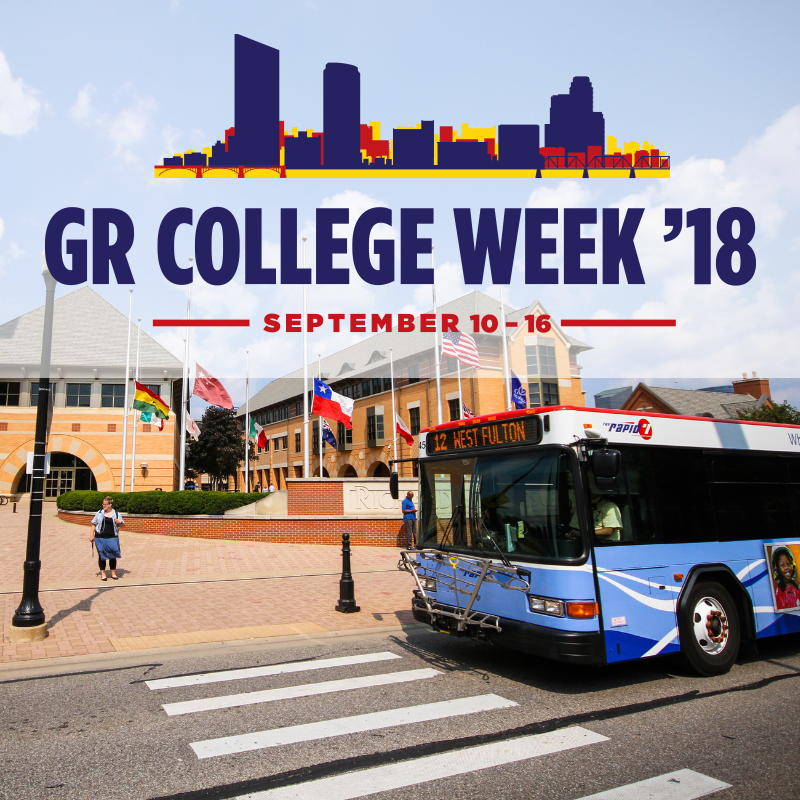 From Sept. 10 – 16, you can explore your city during GR College Week ‘18. We’re proud to sponsor FREE bus rides to and from these awesome events taking place on Sept. 12 – 16. Use your college ID for special access to cultural attractions, discounts, events, and more. It’s simple. Just show your student ID to your bus operator when boarding the bus and let them know you’re participating in GR College Week! Your fare will be waived and you can enjoy your free ride! Come for the free appetizers, and soft drinks – stay for the entertainment. Grab your friends and come down to the Grand Rapids’ Westside. Make your lunch break fun. Enjoy a performance from the local band, Flexadecibel, a variety of food trucks and oversized outdoor games. This event goes from 12:00 – 1:30 PM in Rosa Parks Circle. This mini-workshop series focuses on how to be a citizen in the city. Resources will be available to give students information on a variety of subjects including everything from navigating bus routes to renting in the city of GR. 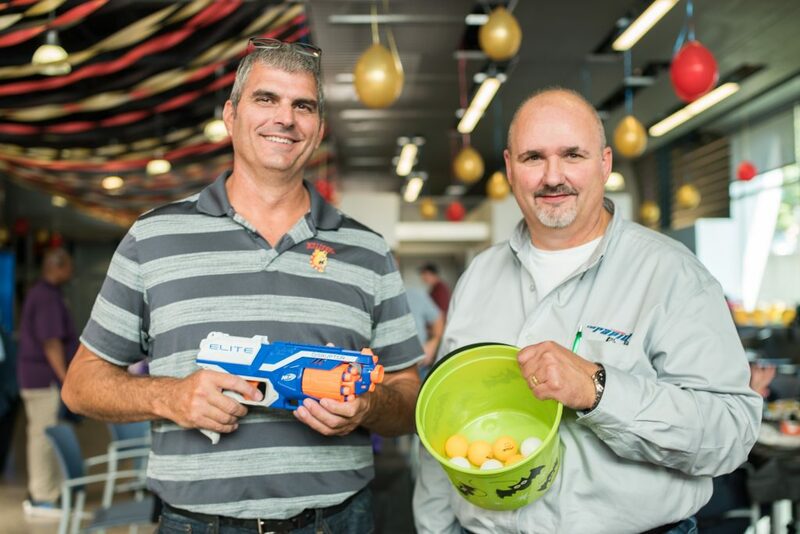 This networking event aims to connect students with local employers. Whether you are looking for a full-time job after graduation, an internship, or just want to make some connections – this is the fun way to do it. The program will take place on Friday, September 14 at Kendall College of Art and Design from 2:00 – 4:00 PM. See the Symphony for just $5 at DeVos Performance Hall. There are a variety of concerts you can attend with student tickets including the Grand Rapids Bach Festival! Get your tickets here. Head to Aquinas’ campus to enjoy a peaceful, free yoga session. There are two sessions: 9 – 10 AM and 10:15 – 11:15 AM. Head over to Aquinas College for food trucks, hammocks and live music from 4:30 – 8:00 PM. Join in the fun! ArtPrize Artists, Venues and Volunteers come together to kick-off ArtPrize 10. Take the bus to the B.O.B for this VIP event featuring live music, DJs, food and get a sneak peek of Founders Brewing Company’s, Trigo, the official beer of ArtPrize 10. For more information on GR College Week ‘18 head to the website here. Grand Rapids’ West Side welcomed a new grocery store last month. 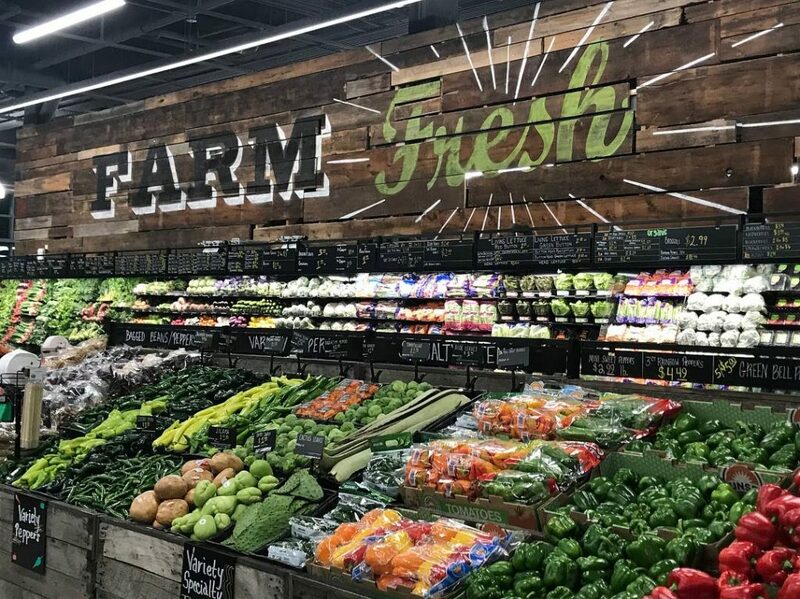 Meijer’s Bridge Street Market boasts more than just the popular grocery store staples like eggs, milk and bread. This one-of-a-kind establishment has affordable food and goods ranging from floral arrangements to pre-packaged meals with everything in between. But what we love most is the transit-friendly nature of the location and the affordable prices. Whether you just need to grab some last-minute additions to a meal you’re planning or you’re shopping for the week ahead, Bridge Street Market is sure to have what you’re looking for. Some bonuses we love about the store include Mayan Buzz’s interior cafe, the beverage selection and the organized layout! — Route 19 (Fare-Free!) – Running Monday through Friday from 6 a.m. to 10 p.m.
Plan your trip on The Rapid to Bridge Street Market today. Getting around is easy when you’re a Grand Valley State University student! Don’t let the fear of the unknown stop you from getting onboard The Rapid. 1. 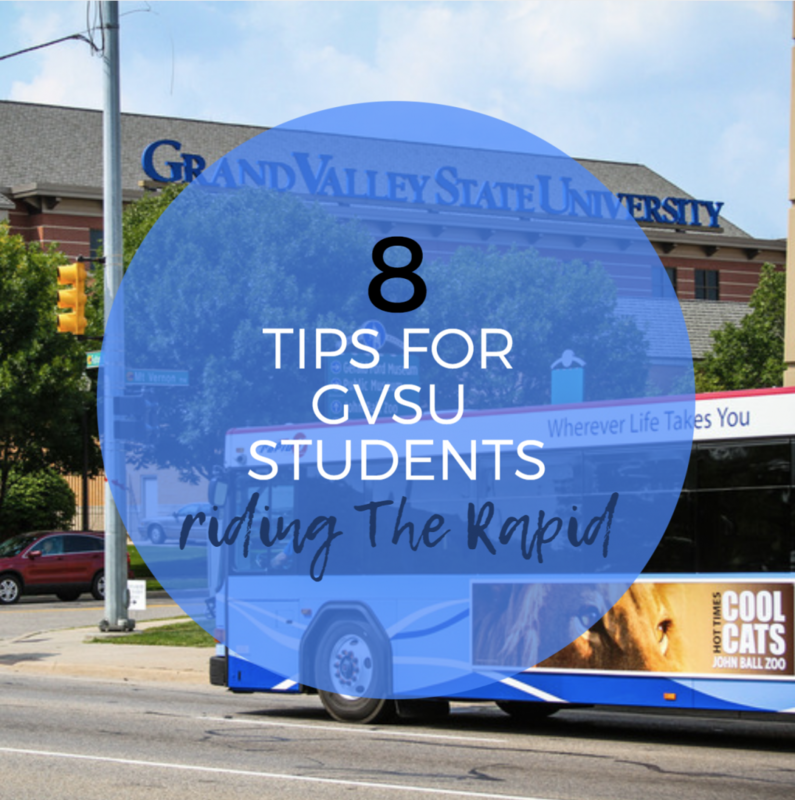 Ride any bus for FREE with your GVSU ID. 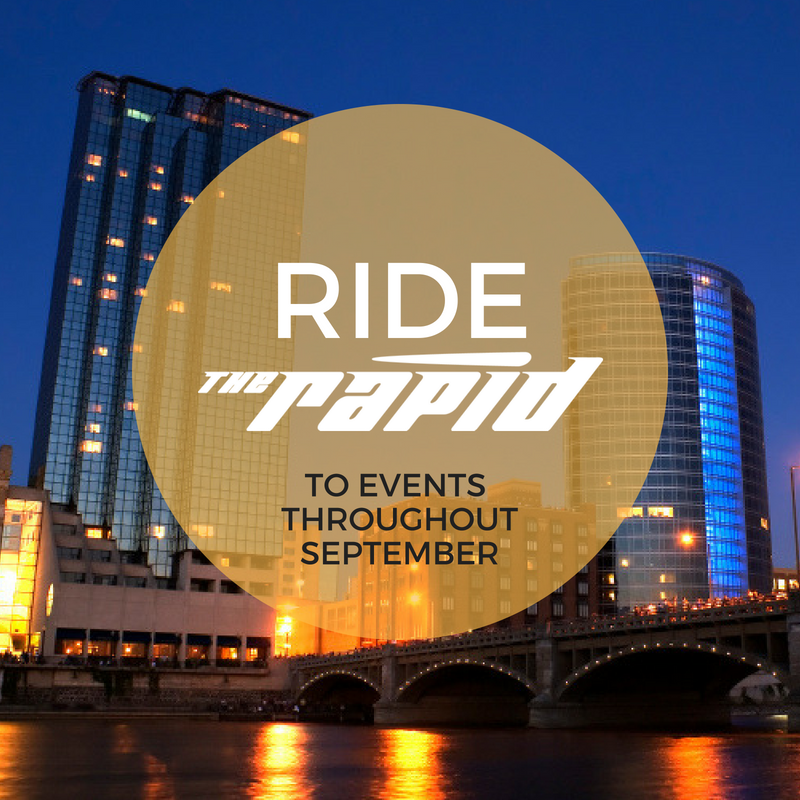 The Rapid is the perfect way to get around Greater Grand Rapids area. Whether you are heading to off-campus apartments, Downtown Grand Rapids or the mall–the bus can take you there at no cost. Awesome, right? Here is a list of locations you can visit for free! PRO TIP: Hop on the bus and check out Downtown Grand Rapids during ArtPrize. The annual art festival runs from Sept. 19 through Oct. 7 and is free for all to enjoy. 2. Download the myStop Mobile app. Want to know exactly when the bus will arrive? This is the best way to track when and where your bus is located. Real-time bus arrival information is available in the palm of your hand. 3. Familiarize yourself with the GVSU bus routes. There are five Laker bus routes: 50, 37, 48 and 85. During break season and weekends there are special routes. More information is available here. 4. Brush up on your bus etiquette. Did you know there is a proper way to exit the bus? First, pull the cord above your head. This will signal to the driver that you want to exit the bus at the next stop. Be sure to remain seated until your bus comes to a complete stop. Exit the bus through the rear door so that other riders may board in the front. PRO TIP: Keep seats open for others. Items like backpacks, purses and jackets should stay with you and not take up empty seats. 5. Be prepared. Buses can fill up fast. You don’t want to be late for class because you missed a bus–make sure you get to your stop early to get on board. While there is room for seated and standing passengers the bus can fill up quickly at peak times. 6. Bring your bike along for the ride. All buses are equipped with either a double-loading or triple-loading bike rack that fit most two-wheeled bicycles. Follow this easy guide: Bicycles on The Rapid for information on how to easily load your bike on the bus. 7. Bus operators are there to help you. Our bus operators love what they do. Feel free to ask them for help or information about the route. They are committed to creating a quality experience for all riders. You can make their day by saying hello or thanking them for their hard work. The Rapid is a fun and easy way to join the community. It’s an opportunity to sit back and relax while someone else does the driving for you! Thank you for riding The Rapid. View all GVSU route schedules here. While summer may be coming to an end in September, we get to welcome fall with a variety of activities! Take in the gorgeous autumn weather while riding to events throughout Grand Rapids. If you’re planning your next date night or looking for a fun family outing there’s plenty for everyone to enjoy. Hosted by the West Michigan Environmental Action Council (WMEAC), the 15th Annual Mayor’s Grand River Cleanup is on Sept. 8! The event takes place at 6th Street Park in Grand Rapids and goes from 9 a.m. to 1 p.m. Lunch and a beer garden supplied by Founders Brewing Co. follow the cleanup and there will be live music by Dunegrass. All volunteers welcome! Feeling spicy? The Grand Rapids Public Museum is hosting this culinary workshop on Sept. 8 at 11 am. This class will provide instruction on how to make salsa and hot sauce harvested fresh from Urban Roots Community Farm. Workshops are open to 20 participants each month and tickets are $12 for the general public and $4 for Museum members. Shop at Grand Rapids’ only vintage market! On Sept. 9 from 10 a.m. to 4 p.m. the Downtown Market is hosting a free day of vintage shopping. From clothes to furniture, the antique options are endless! On Saturday, Sept. 14, join in on the silent dance party at the Grand Rapids Art Museum (GRAM). Guests wear headphones to listen to cool tunes from COMPLETE VII, DJ Monica Parke, and DJ Slim Tim. The event begins at 9 p.m. and ends at 11:45 p.m. Admission is $10 for GRAM members, $15 to the public in advance, and $20 at the door. Ages 21+ only. Buy your tickets here. Kentwood End of Summer Food Truck Festival is celebrating its third anniversary. The event features beer, live music and 30 food trucks. On Sept. 15, the Kentwood Library is hosting this free event. Join in the fun and bring the whole family. It’s that time again. Everything kicks off on Sept. 19 at Rosa Parks Circle with the ArtPrize 10 Opening Ceremony. This 19-day festival features installations from artists all over the world. Explore various venues and exhibitions downtown until Oct. 7. ArtPrize is free and open to the public. This 5K is free for all Grand Rapids area families. This is the perfect opportunity to celebrate health and wellness in the community. The event includes a run/walk through the beautiful Riverside Park on Saturday, Sept. 22 from 9 a.m. – 12 p.m. Healthy food options will be available for purchase afterward from local food trucks. Children are encouraged to attend. The best place to find artisan gifts, local treats and Michigan made and grown goodies. This free marketplace takes place on Saturday, Sept. 22 from 9 a.m. to 4 p.m. at the Downtown Market. On Sept. 30 at 12 p.m. head to the Grand Rapids Children’s Museum with your children for some fun activities. This free festival will feature painting, sculpting, drawing, and live performances. ArtFest takes place during ArtPrize so families can enjoy the displays while they create. Celebrate GR College Week this year on Sept. 10 – 16. The city of Grand Rapids is encouraging students to explore the Downtown area and enjoy special events and college rates at local attractions, restaurants, and businesses! Plan your trip to get to these various events! Metropolitan areas with higher public transportation use – among modes such as heavy rail, light rail, frequent bus service and commuter rail – can cut their traffic fatality rate up to 40 percent, according to an analysis released today by the American Public Transportation Association (APTA) and the Vision Zero Network. The analysis, Public Transit is a Key Strategy in Advancing Vision Zero and Eliminating Traffic Fatalities, shows that metro areas with higher public transportation use have lower traffic fatality rates. Specifically, metro areas with frequent public transit use of more than 40 annual transit trips per capita, have up to 40 percent of the traffic fatality rate of metro areas with fewer than 20 transit trips per capita. Metro areas that move from 20 annual public transit trips to 40 per capita represent a modest increase in public transit mode share but can provide disproportionally larger traffic safety benefits, according to the analysis. On average, this increase would translate to people taking just two additional public transit trips per month. The analysis of this most recent data shows that for individuals public transportation continues to be one of the safest ways to travel. It is ten times safer per mile than traveling by car. Public transportation modes that serve longer trips can help reduce total vehicle miles traveled and provide safety benefits to users, according to the study. For instance, traveling by commuter and intercity rail is 18 times safer for passengers (measuring fatalities) than traveling by auto. Public transit benefits even people who do not use it and are otherwise safe drivers because it helps reduce the risk of being the victim of other drivers’ mistakes, according to the analysis. The study highlights that a robust public transit system creates these life-saving benefits because it provides for a greater mode shift from the auto to safer travel on public transit; an alternative for high-risk and vulnerable road users; and compact development which provides for lower and safer traffic speeds. The latest data from the National Highway Traffic Safety Administration reports that there were 37,461 deaths due to automobile traffic crashes in 2016. This is a 5.6 percent increase from the previous year. In addition, these auto traffic deaths cost the nation $871 billion per year. This analysis is based on the methods used in the APTA research publication The Hidden Traffic Safety Solution: Public Transportation. APTA is pleased to partner with the Vision Zero Network to share promising strategies for greater coordination and cooperation between public transit professionals, Vision Zero proponents, and others interested in safe mobility for all. For more information, go to www.apta.com/safety. City leaders today kicked off a three-year pilot program partnership with the Interurban Transit Partnership (The Rapid) and Spectrum Health that improves bus service by offering fare-free rides to help reduce traffic and ease parking congestion along the Michigan Street corridor, one of Grand Rapids’ most heavily traveled routes. “We recognize that as the Grand Rapids community grows, it’s vital for our city planning and transit systems to adapt to the changing needs of users, including city residents and downtown-area employees,” Mayor Rosalynn Bliss said during a news conference at Rosa Parks Circle. 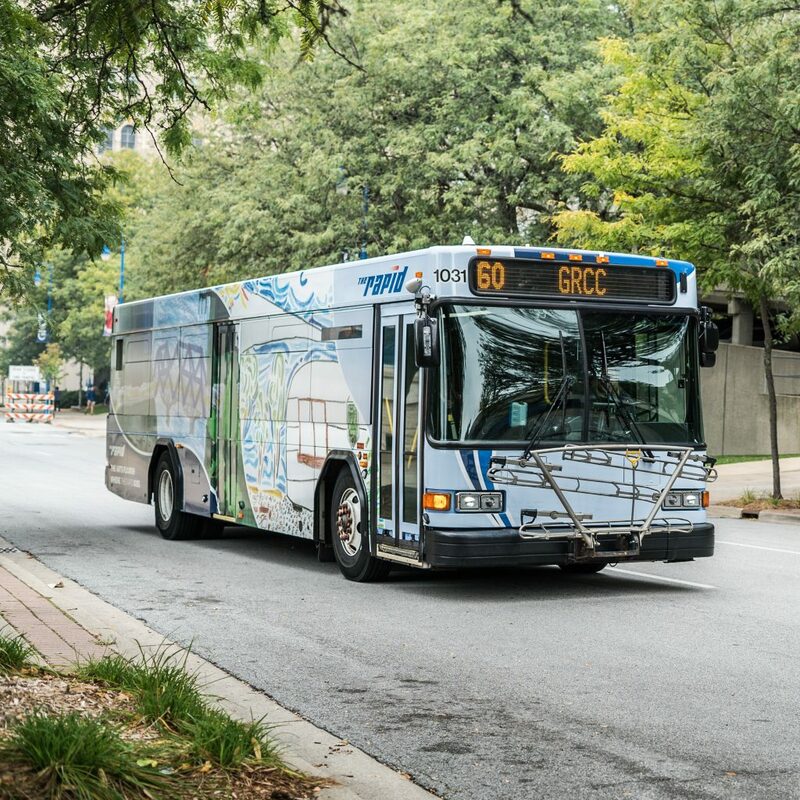 The Rapid’s agreement with Spectrum Health and the City of Grand Rapids to help fund access to public transportation represents the first-of-its-kind public-private partnership since the City created what was then called the Grand Rapids Transit Authority in 1963. The debut of free fares along the new and improved Route 19 – in combination with the City’s fare-free DASH service and City-sponsored fare-free portion of the Silver Line north of Wealthy Street – will provide free travel throughout downtown Grand Rapids without the hassle of parking. Another feature is the convenience of buses coming every 10 minutes on Michigan Street during peak afternoon and evening travel demand. “This new Michigan Street corridor partnership will help Grand Rapids achieve its goal of providing safe and equitable service that connects people to jobs, promotes economic development in a vital business district and offers a first-class transit experience,” said Downtown Grand Rapids Inc. (DGRI) President and CEO Tim Kelly. Route 19 runs along the Michigan Street corridor from Plymouth Street in northeast Grand Rapids and continues west along Heritage Hill and the Medical Mile to the City’s near West Side along Bridge Street up to Stocking Avenue. The route includes stops near such anchor institutions as Spectrum Health, Grand Valley State University, Grand Rapids Community College, Michigan State University’s College of Human Medicine, Meijer’s soon-to-open Bridge Street Market and more than 50 additional popular, high-traffic destinations. Many of these businesses will offer special deals and discounts to patrons who simply mention the “Route 19 Discount” while at the establishment through Sept. 23. Details are available HERE. — Offering free fares by subsidizing service with approximately $293,000 in annual funding support each from Spectrum Health and the City’s Mobile GR and Parking Services Department. 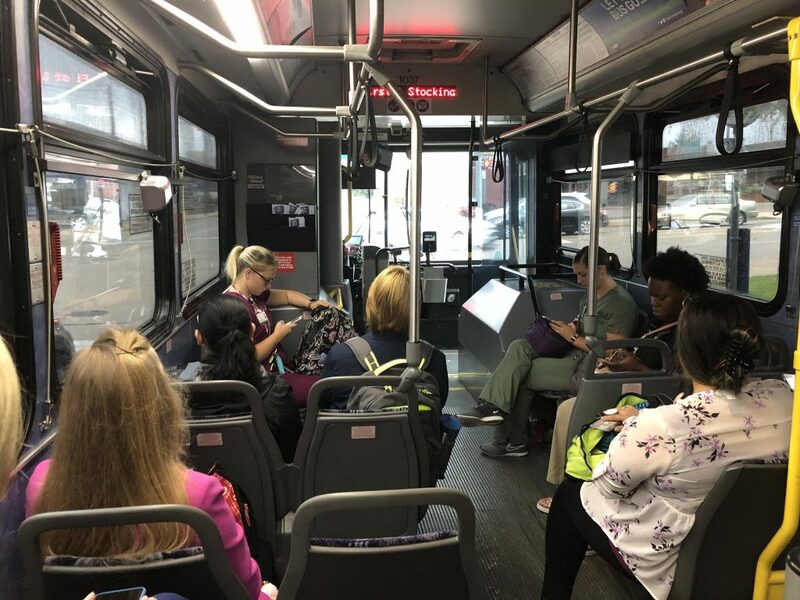 An awareness and education outreach effort will encourage Spectrum Health staff to use The Rapid to travel between offices and the medical center for meetings vs. driving personal vehicles. — Expanding the service to operate from 6 a.m. to 10 p.m. Monday through Friday to better meet the needs of employees and students. Estimates suggest Route 19 ridership will grow from approximately 54 daily passengers to as many as 800 during the workweek. No weekend service is currently proposed. — Increasing the frequency of The Rapid’s Route 19 service. Buses will arrive and depart at stops every 15 minutes from 6 a.m. to 3 p.m. as well as from 8 p.m. to 10 p.m. Buses will stop every 10 minutes during the afternoon and evening peak from 3 p.m. to 8 p.m.
Grand Rapids is part of a national trend of businesses increasingly drawn to downtown environments where they can attract young talent. The Route 19 improvements are part of Grand Rapids’ broad strategy to alleviate parking congestion as more businesses and workers locate downtown. The City Commission’s decision to upgrade Route 19 service aligns with recommendations in the Michigan Street Corridor Plan. The report notes that even with four lanes in each direction, the Michigan Street path can move about 4,000 cars per day – a volume of traffic that is routinely exceeded at certain times of the day and occasionally poses hazards to emergency vehicle drivers’ ability get through the corridor due to gridlock and congestion. Projected development by 2035 predicts the corridor will have 15,000 daytime employees arriving and then leaving over two peak hours in addition to the creation of up to 10,000 new residential units. City Commissioners Ruth Kelly and Joe Jones, who serve the city’s Second Ward that includes the Michigan Street corridor and Route 19, said they look forward to promoting the innovative public-private partnership with Mobile GR and The Rapid. 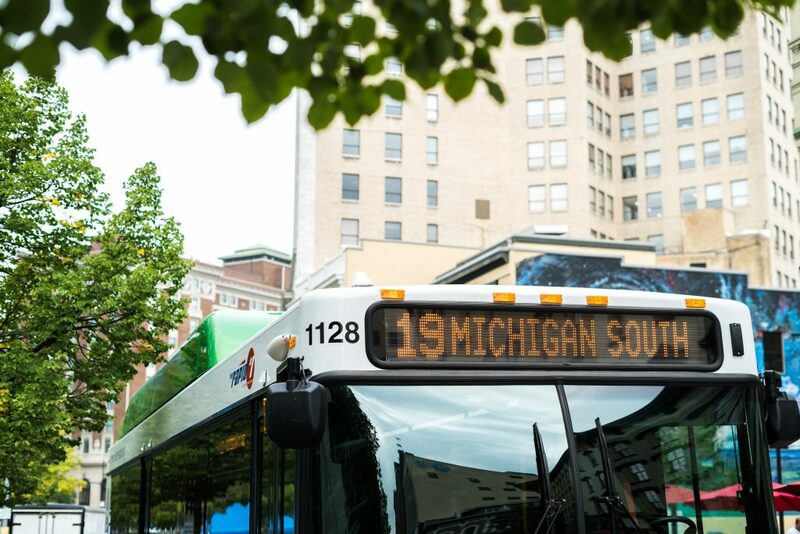 “The new Route 19 service will inspire people who have never previously considered public transportation and build acceptance of transit as a viable alternative for getting around Grand Rapids easily and efficiently,” Kelly said. The plan also will help Grand Rapids develop lasting solutions to challenges, such as parking, while allowing for long-term growth along the entire Michigan Street corridor, Jones noted.